Florida Georgia Line were honourees at this years CMT Artists of the Year show last night! 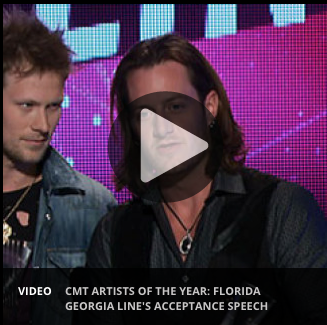 If you missed it, you can check out videos of the Florida Georgia Line boys’ performance, acceptance speech, and red carpet appearance at http://www.cmt.com/artists-of-the-year/ (US only). Congrats to Tyler and BK on the award and a great show!